Research with current Tec students at UBC shows that what attracted them to UBC is the academic prestige of the University and the beauty of the campus. We shot portraits of Tec students outdoors on campus, to show their comfort in the North American campus environment and the confidence that UCB's prestige has given them. 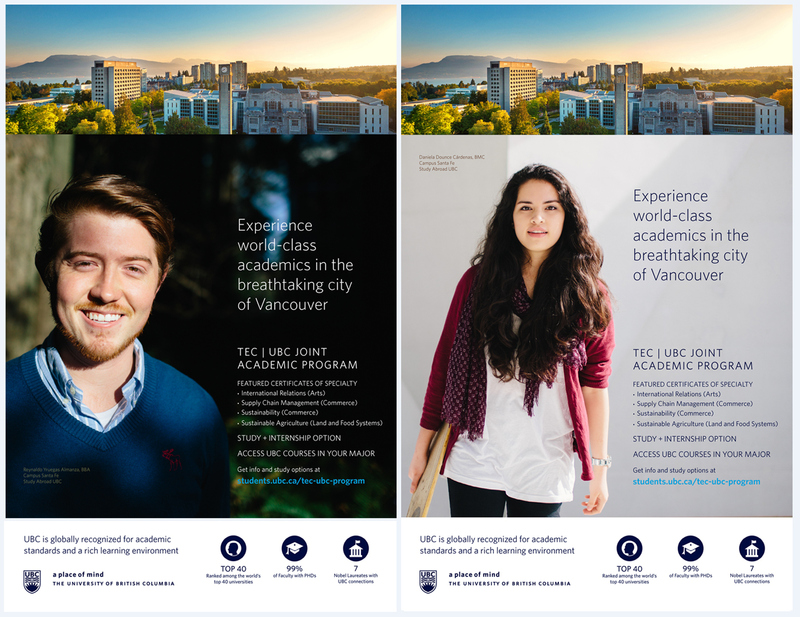 The posters feature the expansive portraits along with a beautiful campus aerial photo, to allow prospective students in Mexico to picture themselves at UBC and feel the beauty and prestige that the experience offers.